Stephen Colbert, on his popular Late Nite television show, discussed the Tesla V7 software update and the ability of the car to “drive itself”. 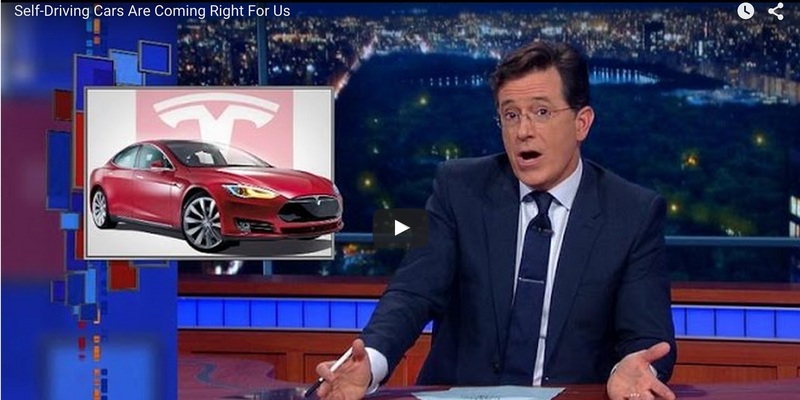 Colbert noted driving his Tesla into Manhattan and how the autopilot would improve that. Additionally he noted that a lot of billionaires are working on self driving cars including Google’s founders and guests Apple CEO Tim Cook, Tesla CEO Elon Musk of course and Uber CEO Travis Kalanick.